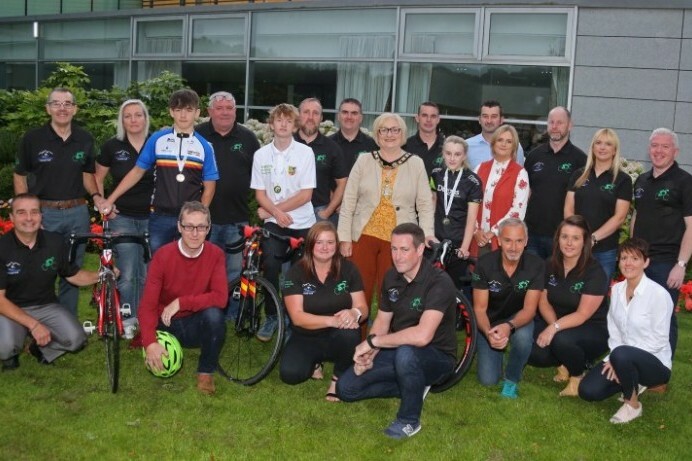 Members of Ballymoney and Dunloy Cycling Clubs have enjoyed a civic reception in Cloonavin. 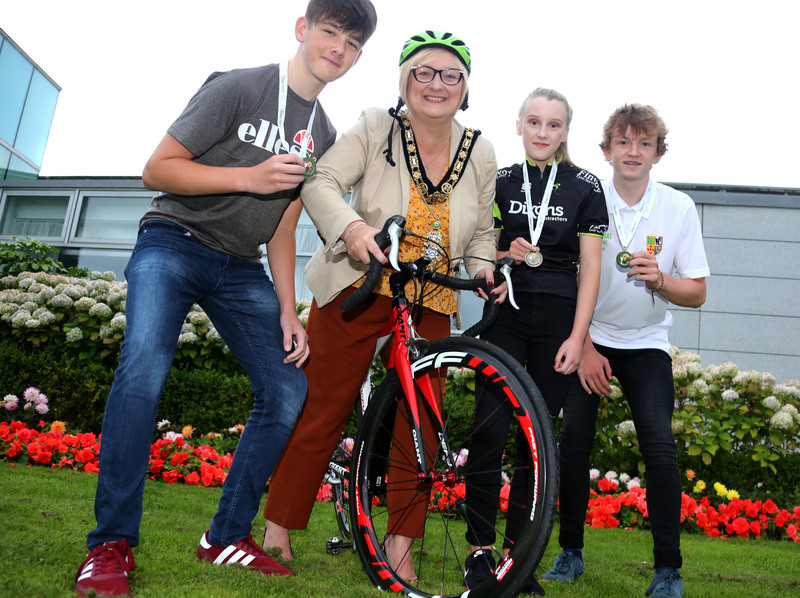 The event on Thursday evening (September 13th) was hosted by the Mayor of Causeway Coast and Glens Borough Council Councillor Brenda Chivers. 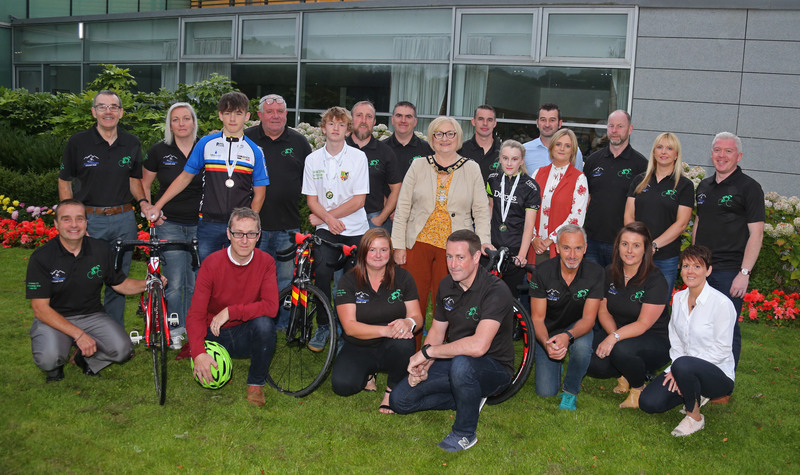 The clubs recently held the successful Irish National Youth Championships where local riders Rowan Montgomery, Aaron Archibald and Erin Kelly were among the medal winners.